Our second day in Rome was completely dedicated to visiting Vatican City. Which is fitting, since it’s really its own sovereign country! Only drawback is that they don’t stamp your passport here. First thing on the agenda: Musei Vaticani (the Vatican Museums). There are actually 54 salas, or rooms, within the museum, with the last one being the renowned Sistine Chapel. But I’m getting ahead of myself. You definitely don’t want to get to the Vatican without having purchased your tickets in advance. Would you like to see a glimpse of what you’re up against if you don’t? There were over 1000 people in this line! See the line on the left? It wraps around the wall for blocks! See my husband with a camera bag? He’s going to walk right in with a ticket we bought online. Finally, you come to the last of the 54 salas, the Sistine Chapel. My impressions? It is smaller than I expected it to be. The room is very crowded as there is a lot to see and everyone wants to stay there as long as they can, to see it all. It is very quiet, so as to maintain reverence (except for the guards who keep using megaphones to remind you to be silent). Michelangelo’s art is absolutely incredible in every detail. I’m so glad I can say I’ve been there now! The Vatican Museums have a convenient cafeteria. A little on the expensive side (11 euros for a salad and fruit), but my feet needed a break. And eating in the cafeteria meant not having to leave the Vatican. Which is good, since we had an afternoon appointment for the Necropolis Tour. Oops! Geting ahead of myself again! We really wanted to see St. Peter’s Basilica. It is the largest church in the world and one of the holiest Catholic sites, as it is considered to be the burial site of its namesake, Saint Peter, an apostle of Jesus. You cannot grasp the size of this church until you stand within its walls, but try to imagine a structure thirteen stories tall and as wide as a football field. It can hold 20,000 worshippers, and it is absolutely magnificent in design and scale. 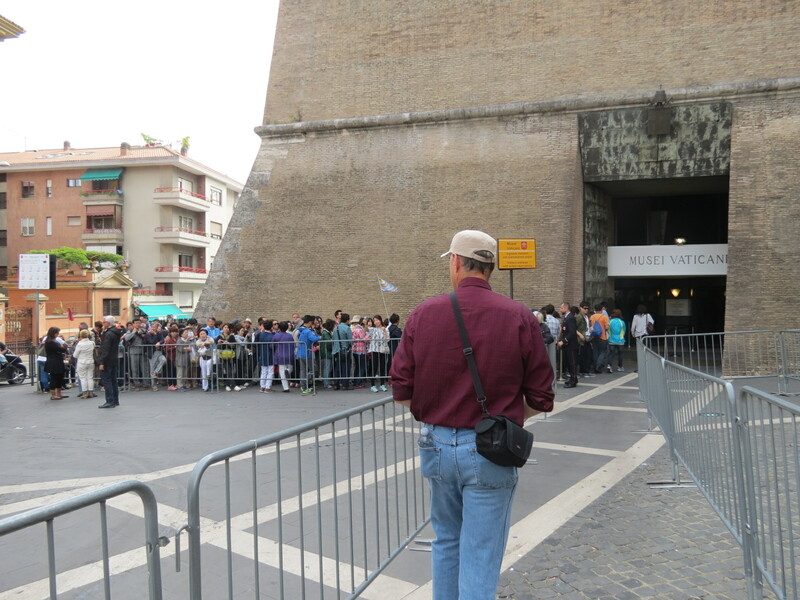 Because of its meaning to so many people, there are long lines to see St. Peter’s Basilica. But we were fortunate enough to find a way around that too. There is a little known tour of the Necropolis, an underground cemetery, on top of which St. Peter’s Basilica was built. 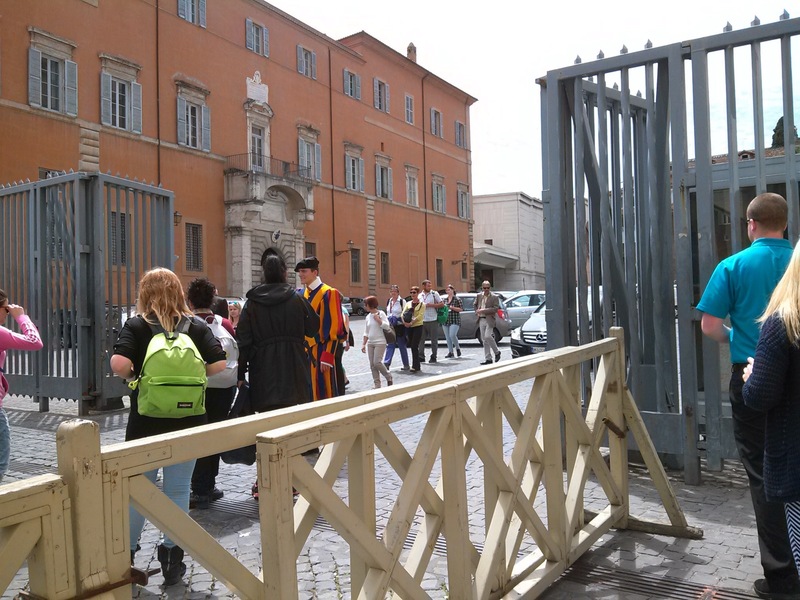 It is not easy to get tickets for this tour because they only allow 12 at a time and you can only reserve tickets months in advance from the Vatican Excavations Department. You will be asked to give more than one date and time you are available to take a tour, you must be 15 years or older, and you must be accompanied by a guide (included in the ticket). All correspondence is via email, and once you are notified that you have been accepted, you will take your confirmation email with you and pay for your ticket just before the tour begins. You cannot take any large bags or use your cameras on the tour, but the Excavations office will hold your items securely during the tour, free of charge. This tour guides you through the underground cemetery and the entire story of the discovery of Peter’s bones underneath the Basilica. It’s very interesting and even inspiring. Our guide happily answered all of our questions. And guess where the tour ends? Inside St. Peter’s Basilica. Right up front. With free reign to walk around and look at everything up close. There are often wooden corral gates used to keep the crowds back at a distance, but you will end your Necropolis tour in front of those gates. There is no charge to enter St. Peter’s Basilica–the cost is only the length of time you are willing to spend in line. But if you’d like to avoid a line of thousands and have greater access to the Basilica, tickets for the Necropolis tour are 13 euros each and a great bargain, if you ask me! There’s a virtual tour of the Necropolis tour here if you’d like to get an idea what it’s like. As you are facing the Basilica, the entrance to the Excavations office is to the left and behind the curved colonnade. A Swiss guard will admit you. So let me tell you a little more. St. Peter’s Basilica is where the famous Pieta sculpture by Michelangelo is displayed. He was 24 years old when he sculpted the Pieta, and it is the only sculpture he ever signed. Afterward, he was ashamed of his pride and never signed another piece. Even as a young adult, Michelangelo’s work was exquisite. 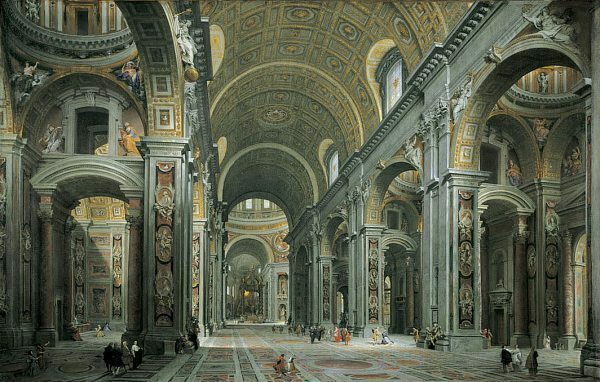 Michelangelo was also part of the super-star design team for St. Peter’s Basilica, along with Donato Bramante, Carlo Maderno, and Gian Lorenzo Bernini. Everything is lavishly adorned with marble, sculpture, and gilding. As sculptures and adornment are closer to the ceiling, the larger they are, as to make them appear more approachable to the worshippers. It is quite breathtaking! After seeing St. Peter’s Basilica and walking around St. Peter’s Square, we took the obligatory “we were here” photo and then took to the streets to find gelato. We were also on the hunt for a Vatican-related deck of playing cards. Since our family loves playing card games, one of the souvenirs we often buy is a deck of cards with postcard-like pictures of the places we visit! There was no shortage of either gelato or souvenir shops just outside the Vatican. Back to the apartment for another pasta dinner, then out to explore one more church. With all the talk about the apostle Peter, we wondered what if anything had been done to honor Paul. We discovered Basilica Papale San Paolo fuori le Mura, or Basilica of St. Paul Outside the Walls. Near the Tiber River but outside the original walls of Rome lies the Basilica dedicated to Paul, directly over his burial place. Unfortunately, it was closed to the public by the time we arrived, but the grounds and entrance were beautiful as the sun was setting–an appropriate resting place for an apostle of the Lord. One more stop for gelato–delicious limone con fruttosio! Seriously, if you don’t budget for lots of gelato stops, you’re missing out on a great Italian tradition. We ended our second day in Rome with games and planning for our last day. Stay tuned to find out what we did! If you haven’t yet followed us through our first day in Rome, read about it here. And be sure to share this post so others can benefit too! 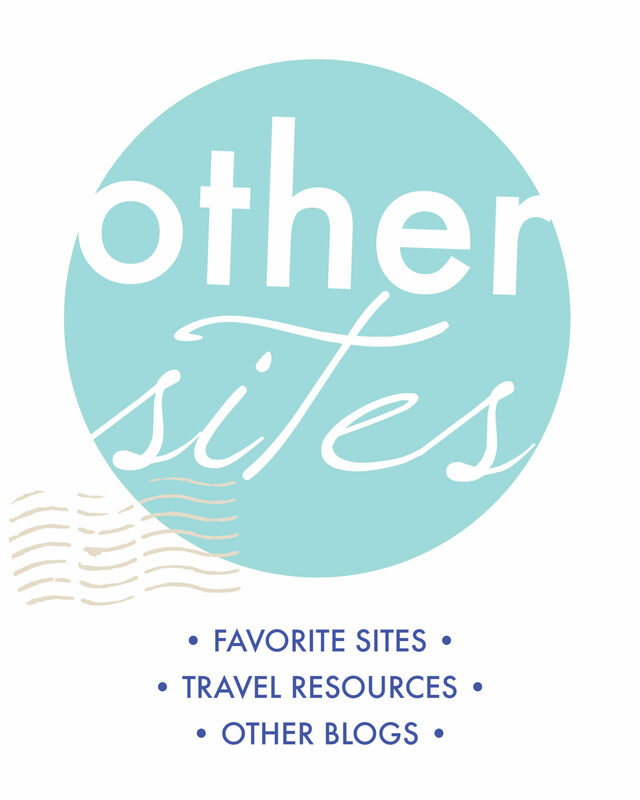 ← Only Three Days in Rome? Look at All You Can Do! You summed it up best for this day: gelato and the Pieta! The day couldn’t have gotten any better. 🙂 Oh yeah…and St. Peter’s Basilica was pretty awesome, too. I think three days in Rome is enough. I love the Eternal City and I think its calling my name to go back. Haha! Love the pics. Thank you, Jo, for sharing your special moment–that’s pretty cool. Rome is one of my favorite European cities. It is a place where you can let your imagination run away as you see toga clad people everywhere, if you want to. The forum can come alive, and MA can be seen on his back painting away…a gorgeous city that can easily consume your time. So glad to know you can prebook a ticket, waiting in that line would be horrendous! I was so interested in reading this since we were just in Rome last month for the first time. We had only 2 full days to spend there, so on one day we took a 6-hour tour which was great for seeing the main sites and getting VIP access to places like this. Although I loved touring the Vatican Museums, I couldn’t help but think while I was going through the rooms about how awesome it would be to be alone there (or at least without so many tourists). Oh well, I guess that’s not mean to be. I chuckled at your comment about the guards using the megaphones to silence the crowd in the Sistine Chapel — same thing during our tour. This is a great guide. So many things to see. I just loved the city. Thank you, Christine. So glad you’ve been able to go to Rome, too! I would love to go to that Necropolis Tour! Been to Rome many times and did not know about it or how to get in! 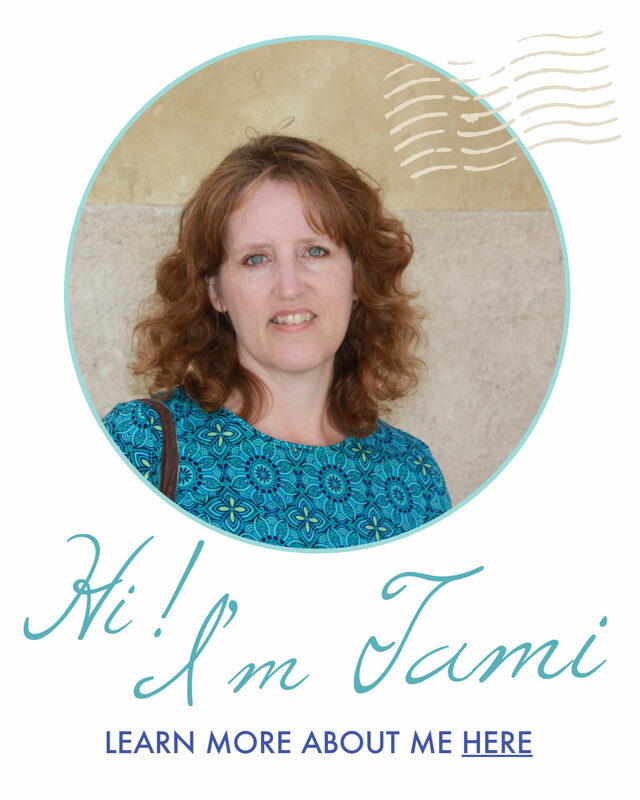 I was really grateful for the few blog posts I read about it before I went. The information is hard to find! Wow, that is one line to get in! This is good to know for whenever I get to visit in the future. I would also love if they would stamp your passport, that would be pretty cool! You know I was there back in 1996, there was no common internet, no buy tickets in advance, no massive lineups. I missed those days. So glad you got to visit it all, the museums are amazing. I concur on the Sistine Chapel!